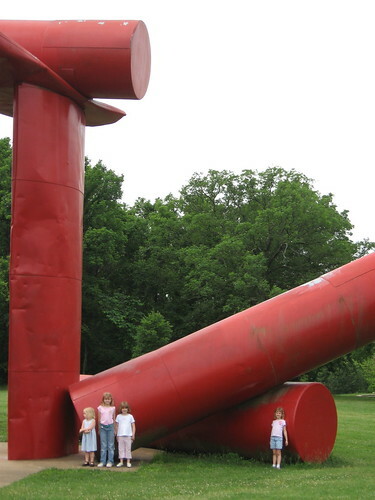 Today’s installment of Be a Tourist in Your Own Town showcases an interesting collection of exhibits in St. Louis in the form of Laumeier Sculpture Park. This is another one pulled out our archives. 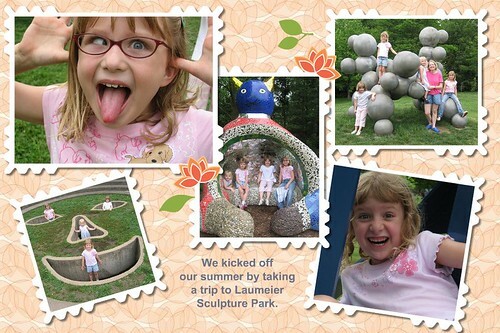 Three summers ago I had the great idea to visit a different park in St. Louis every week. I think we made it to two and this was the first one we went to. exhibitions are mounted several times each year, both indoors and out. The day we went the indoor exhibits were closed, so we were only able to experience the outdoor ones. If contemporary art isn’t exactly your cup of tea, this might not be the best use of your time, but if you can appreciate unique creativity and a lovely outdoor venue, give it a whirl. The park is open 363 days of the year from 8am to sunset. The museum is closed on Mondays and official holidays. You can see the hours and get directions here. So if you are looking for something different to do, pack a picnic lunch and head to this 105-acre “open air” museum. And take your camera! Great blog! And love your shop goodies. I found you thru Shey b’s giveaway! So glad to come across your shop & blog. I’ll definatly be following your blog. Hi! Visiting from shey b! 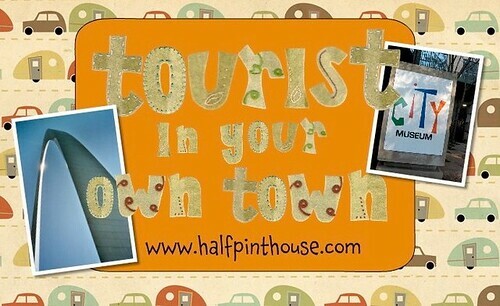 Great idea – I LOVE tourist in your own town! Love your store! 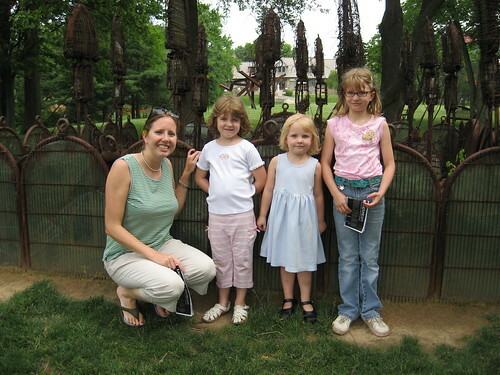 Visiting from Shey B’s blog! Super excited about the giveaway! Stopping over from Shey B’s blog. I love the business card holders, but especially the scrappy purses in your shop. That’s really cool,looks like a lot of fun! I have never thought about going on a tour of our own town. Found you through Shey! Hope you’re having a great day! Hi: Came here from Shey B, love your works, so cute business card holders.